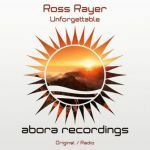 After many years of great success within the uplifting trance industry, Ahmed Romel is proud to present his debut on Abora's balearic and latin label Abora Olé with the smooth and progressive "Himba". Twice supported on Armin van Buuren's A State of Trance and played in multiple live sets by Aly & Fila, "Himba" takes us on a journey through emotional melodies, tribal vocals, and soothing atmospheres. It brings up gentle drum lines together with graceful acoustic guitars, resulting in one of the most anticipated releases of this fall. "Himba" delivers Ahmed's vision of the balearic genre, and we're loving it!